As the end of your smoke detector’s battery life draws near, a high-pitched 'chirp' will likely serve as a reminder that it’s time to install a fresh set of batteries. But there’s another step necessary in making sure that your smoke detectors are working properly. What many don’t realize is that, in addition to changing the batteries in your smoke detectors, you must also change the smoke detectors themselves when they get old. Smoke detectors need to be replaced 10 years from their date of manufacture, according to FEMA. But unlike those beeping 'change battery' reminders, the reminder that it’s time to replace the entire smoke detector is silent. Remove the smoke detector from the ceiling. Look on the back of the device for the date of manufacture. Remember that smoke detectors should be replaced 10 years from the date of manufacture. If it’s less than 10 years old, put the smoke detector back on the ceiling or wall. FEMA also recommends testing the batteries on your smoke detectors at least once a month. Simply push the test button and make sure your alarms sound when tested. If they do not sound when tested, they need to be replaced. 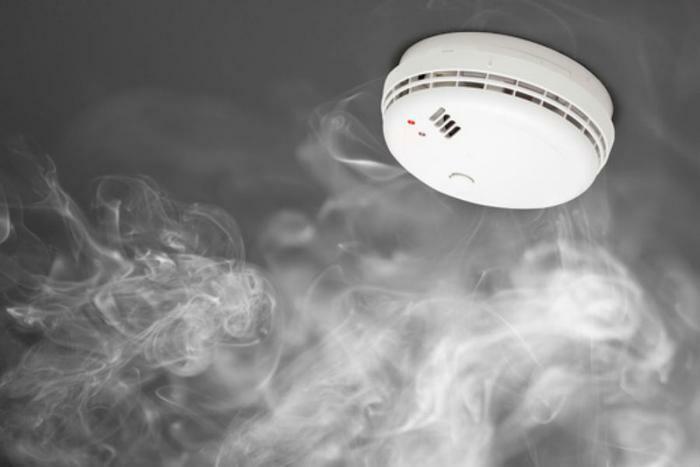 Having working smoke detectors in your home can cut your risk of dying in a home fire in half, according to the National Fire Protection Association. But in order to help ensure that your smoke alarms will be heard loud and clear in the event of an emergency, it's important to install them in the right places throughout your home. As a general rule, consumers should install one in every bedroom, outside each separate sleeping area, and on every level of the home (including the basement). You may need more alarms if you have a larger home. For the best protection, make sure that all of your smoke detectors are interconnected. Interconnected alarms can quickly alert you of problems no matter where you are in your home; when one sounds, they'll all sound.